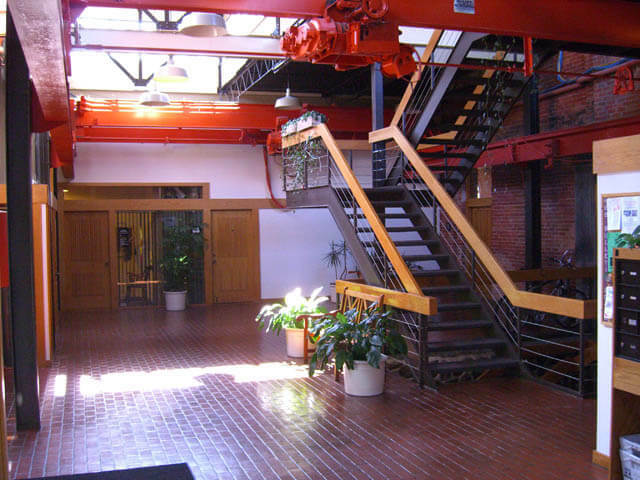 The Tech Brewery is a coworking space founded in 2009 by serial entrepreneur Dug Song and building owner Doug Smith. 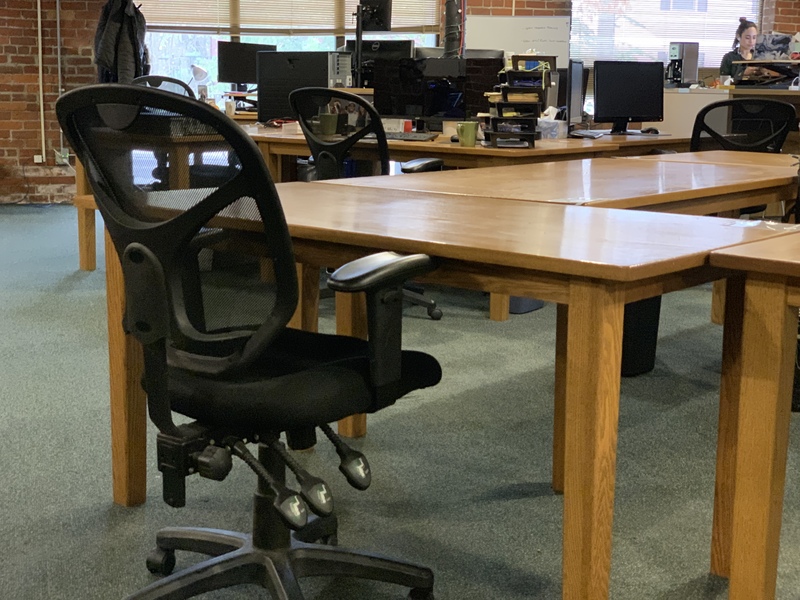 Initially an experiment to see if a shared-desk tech space would gain support in Ann Arbor, the TechBrewery quickly grew from a handful of users to a busy community of 20-30 tech entrepreneurs. 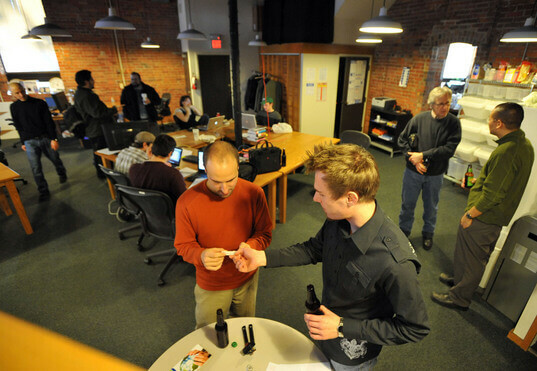 A number of companies started at the Tech Brewery have graduated to become major employers in Ann Arbor and southeast Michigan. 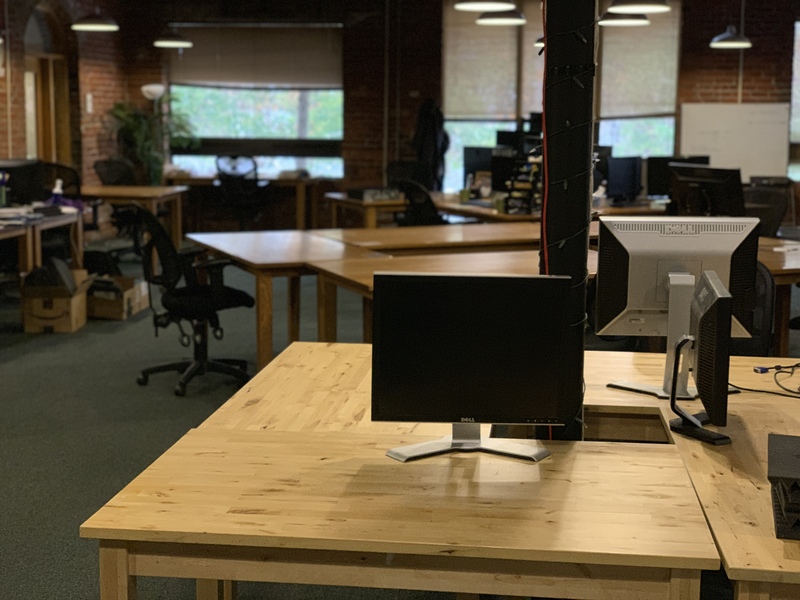 Alumni of the TechBrewery include Deepfield, Mobiata, and Dug's own firm firm Duo Security, which grew from a 2-person startup at the TechBrewery to a 100+ employee firm downtown. Startups that have started at the TechBrewery have a combined net worth in excess of 1 billion dollars ($1,000,000,000). A panorama view of the Tech Brewery coworking space. The Northern Brewery houses the Tech Brewery among other tech and various companies, including some Tech Brewery alumni. 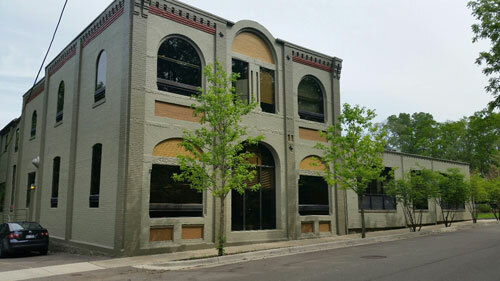 Built in 1886 as a brewery, tucked away in Ann Arbor's north side, the building has been renovated into office space with a wood, brick and glass feel. 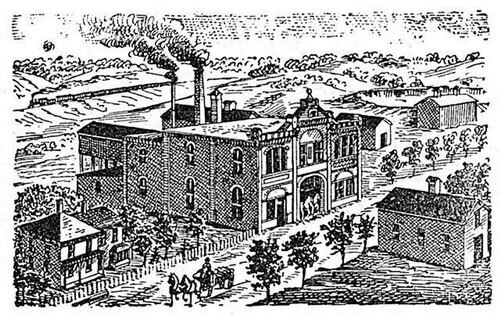 The Northern Brewery in woodcut form. We have no information on this company. Please check back soon for updated information about the current TechBrewery company listed here. We are developing secure IoT platforms. A platform for all-inclusive vehicle subscriptions. One fee covers car, insurance and maintenance, with month-to-month flexibility. NerdFace is a Full Stack Creative Agency specializing in Website Development, SEO, Graphic Design, Video Production and UX/UI. Intended for occasional use up to 8 hours a week. Street parking on Broadway only. Individual private suites occasionably available, email for availability.